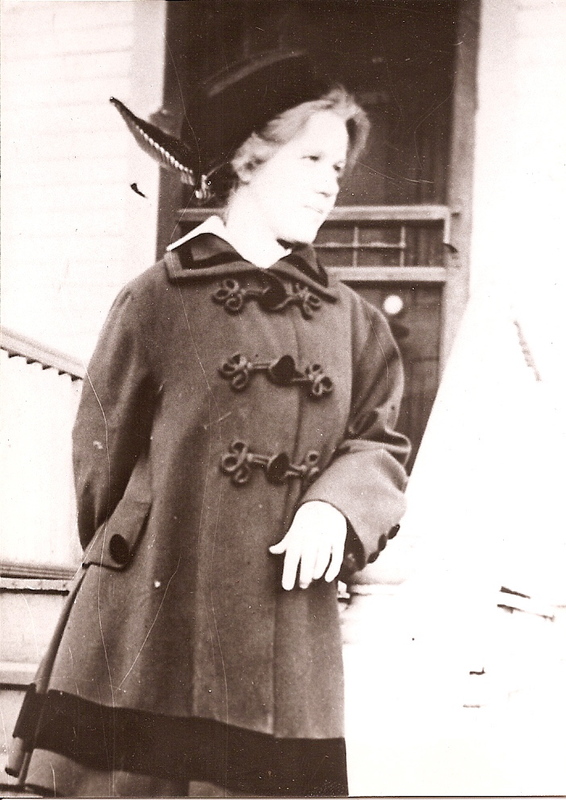 I found this picture in my attic and was just struck by how gorgeous this coat and hat are on my great-grandmother and how I wish we still wore styles like this on a regular basic. Designers...please bring this aesthetic back! Today's find comes from my own jewelry box. Several years ago my grandmother was cleaning out her bathroom and gave me this little perfume compact which at the time still had the solid perfume in it. As the perfume was spoiled I washed it out and have use this as a pill case on my dresser ever since. Its sort of a classy little way to hold your morning pills in an inconspicuous manner. Houbigant was a perfume manufacturer founded in Paris in 1775 by Jean-François Houbigant of Grasse (1752-1807). 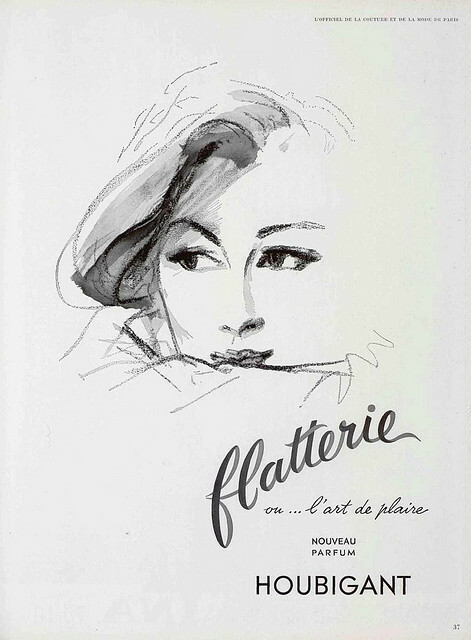 The original shop, called "A la Corbeille de Fleurs", was in the rue du Faubourg Saint-Honoré and they specialized in selling perfumes (of course), gloves and bridal bouquets. Clients included Queen Marie-Antoinette of France, two French emperors, Princess Adélaïde d'Orléans, Princess Dagmar of Denmark, wife of emperor Alexander III of Russia, Madame Du Barry, mistress of King Louis XV of France and Queen Victoria of England. Houbigant perfume still exists today though they were bought out in 1995 and are now part of one of the giant international beauty conglomerates. Here is another postcard from my collection. 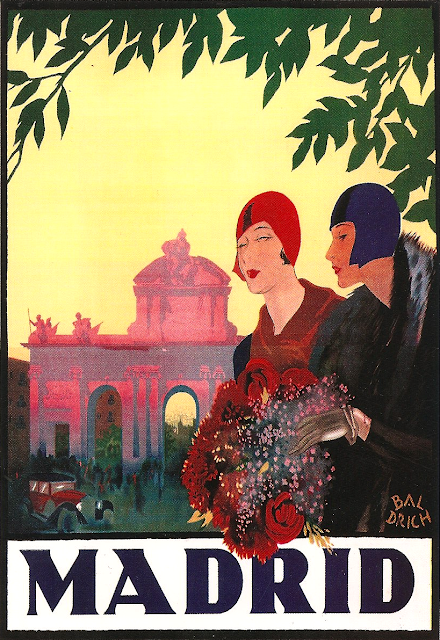 It is a vintage travel poster advertising 1920s Madrid. 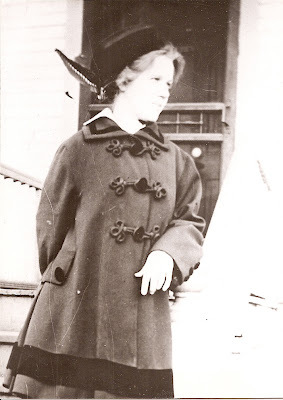 I just love the cloche hats and the gloves! I picked this postcard up in 2003 from a little street vendor in Granada while on vacation. I put it in an oak frame and have had it on my wall ever since. 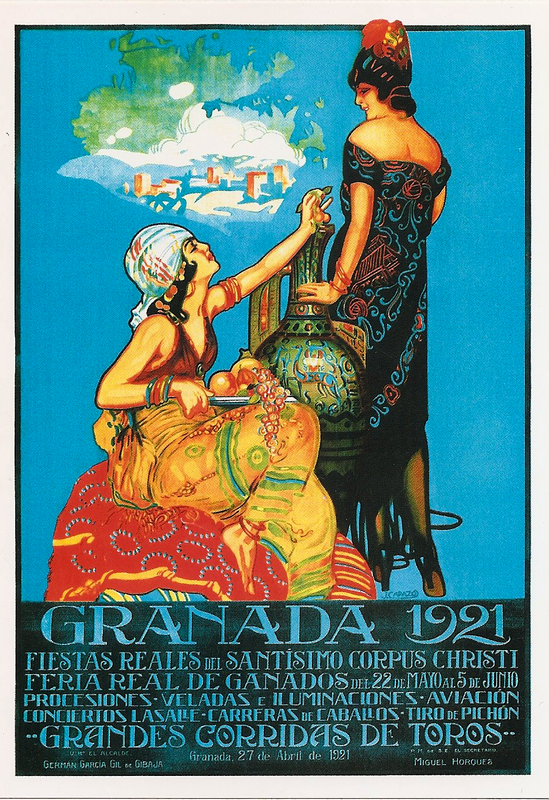 I just love the aesthetic of the painting, fusing the gypsy style of Andalusia with the style of the 1920s.